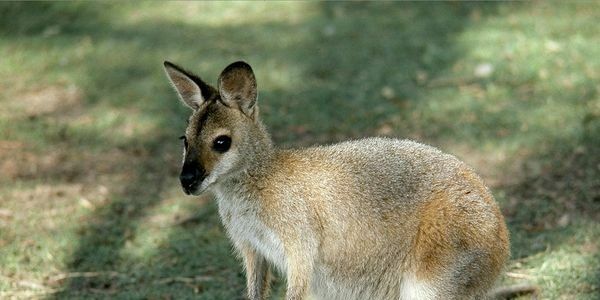 Stop the Queensland wallaby cull! The Department of Environment has issued licenses to cull Wallabies, at properties at Mission Beach, south of Cairns; and this without fulfilling a legal obligation to look for non-lethal alternative’s first. These Wallabies have become an important tourist attraction, as well as an escape for the local population who find joy in feeding them. But more than being attractions and subjects of amusement, they are living creatures that belong on this land just as much as we do. However, someone thinks that they can be slaughtered with not so much as an after thought, that killing is the only solution and that thinking of an alternative is just to much work. We beg to differ; an alterative to a violent death is the only solution. As I mentioned before, the Wallabies find themselves in the middle of a battle, and they are helpless to stand up for themselves. We can help, we must stand up for them, and our voices can, and must be heard. These Wallabies must not die on our watch. If they get away with this, what else will they simply want to cull without first thinking of better and more viable solutions? Solutions that are easily passed down and maintained from one generation to the next. It is 2014, almost 2015, and shooting things is still our only solution? Surely we are a little more progressive and forward thinking than that! Sign to implore Premier Newman step in and at the very least demand that The Department of Environment follows due process and explore non-lethal methods of control. Simply throwing violence at everything is not the solution.